The night breeze gently plays with the fresh blossoms sending petals and perfume dancing through the moon beams. Naturally fragranced with 100% pure essential oils! 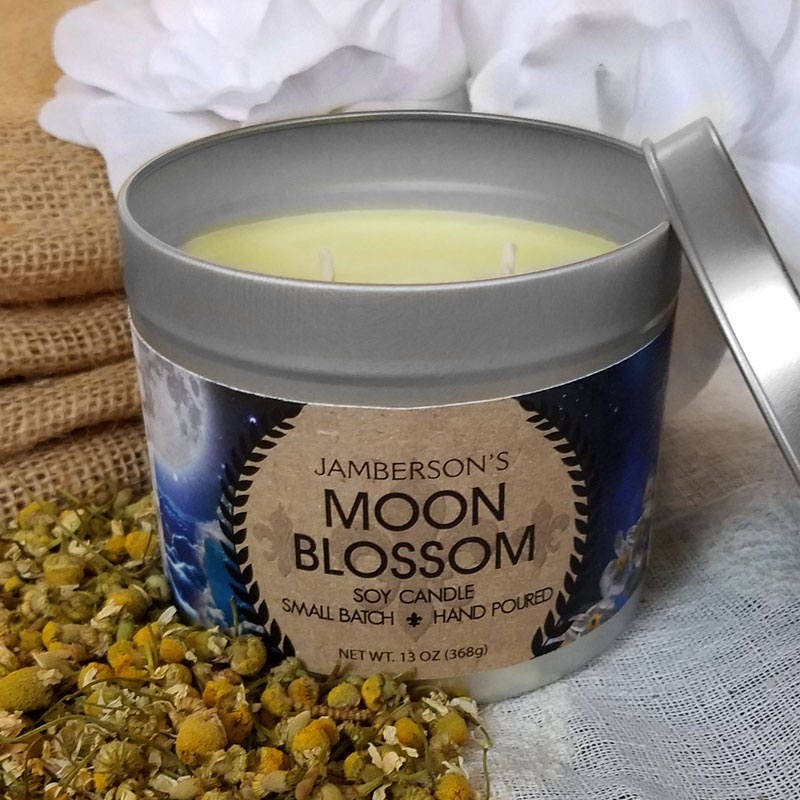 Our proprietary blend of chamomile with a hint of something sweet and minty; combined with our proprietary pouring method creates a candle whose hot and cold throw rival that of paraffin candles scented with fragrance oils. Each soy candle weighs in at an impressive 13 oz and measures approximately 3.75"x3.75"x3.125". Each soy candle is hand poured in small batches guaranteeing the highest quality product. This is the perfect sized candle for filling large rooms, such as your living room, your kitchen, and even your garage. Beautiful inside and out. This candle is sure to please. A perfect candle to unwind to at the end of a long day or to show someone special that you appreciate them.